Themed after one of the most popular Disney movies of all time. 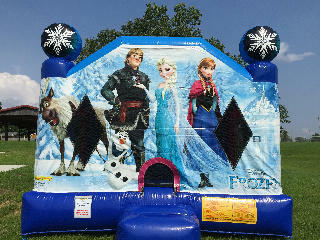 This licensed them bounce house will be sure to make your child happy. Note: all of our themed bouncers are of the large size. These will be 30+% larger than other options in Central Missouri as the same price!